“Halt and Catch Fire” premieres with a strong episode and gives hope for AMC’s future. An early computer command that sent the machine into a race condition, forcing all instructions to compete for superiority at once. One can’t help but speculate that this is one big metaphor for the show itself. “Halt and Catch Fire” is the latest offering from AMC (something more), and it’s a good one. 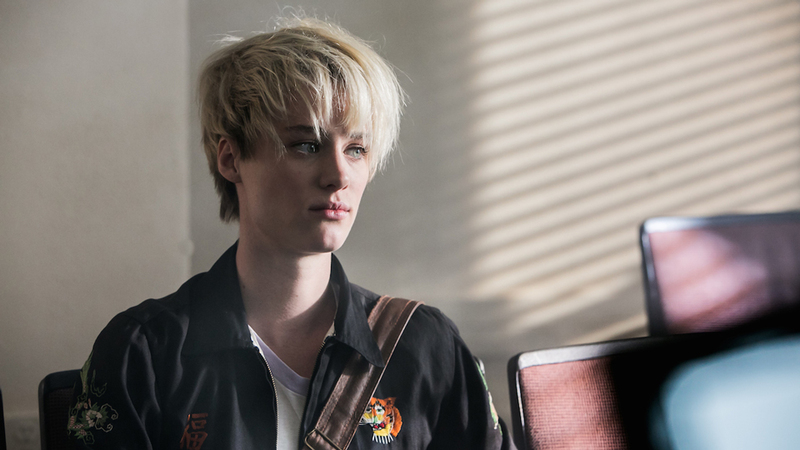 With the juggernaut that was “Breaking Bad” being over and “Mad Men” ending next Spring, the network needs a heavy hitter and “Halt and Catch Fire” definitely has the potential. The episode starts with a speeding Joe MacMillan (Lee Pace), a former IBM employee and a man who’s good at what he does and knows it. With the purpose of scouting recruits, we meet Cameron Howe (Mackenzie Davis) in the classroom, albeit late, that Joe is doing his “work” in. Cameron is immediately fun to watch with her snarky, “I’m too good for this bullsh*t” attitude. Joe lists off many different areas in computer engineering and asks those who are unskilled in said area to lower their hands. As expected, Cameron’s hand remains raised (along with another non-interesting student.). Cut to the next scene and Joe and Cameron are having drinks at a bar, which can lead to one thing in the world of television: a sexual encounter ruined by Joe explaining that this doesn’t mean she gets the job. The payoff is Cameron’s sarcastic response with, “You mean we’re not in love?” Post quippy quote, we don’t see Cameron for quite a while, which disappointed me given that she was the best thing about this episode. We then meet Gordon Clark in a low moment as he makes bail thanks to his wife Donna (Kerry Bishé). By default he becomes a complex character with a family and a marriage to manage. Our first meeting that we see between Gordon and Joe starts in the parking lot of their shared work place at Cardiff Electric. This scene shows Gordon in position of someone who doesn’t have the will enough to stand up for himself, and Joe in one of a person who takes what he wants without concern. 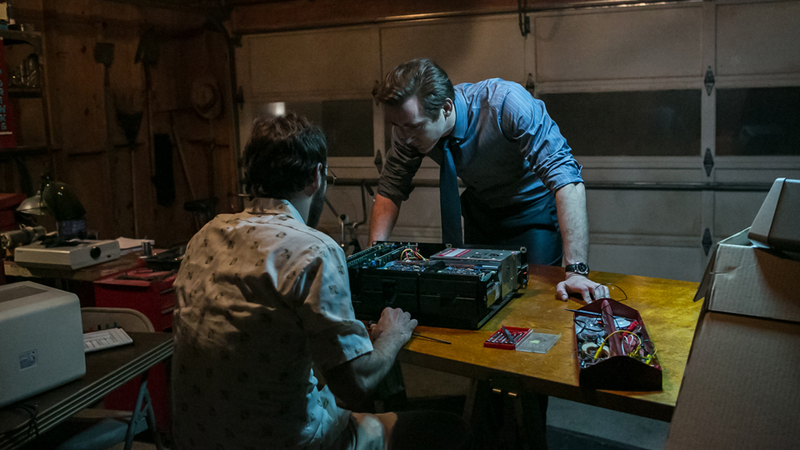 Joe eventually takes an interest in Gordon (A16) and wants Gordon to help him to reverse engineer an IBM machine. Although capable, Gordon refuses. Throughout this episode, Gordon’s sulking and self deprecating demeanor went a little long, but after seeing him come out of it, it made the episode a lot more exciting to watch. After some family issues and an argument with his wife, Gordon comes around and begins this rather illegal feat with Joe. Seeing the two do micro-hardware analysis evoked the same feel of when “Breaking Bad’”s Walt and Jesse cooked for the first time. Maybe I’m drawing comparisons between the two being that both shows share the same network, but one could argue. After hitting a couple milestones Joe and Gordon are caught in the act by Donna. In turn she gives a decent performance when drilling Gordon about finances and how they can’t afford to do something like this (again), which could make some immediately mark her as a character to hate, much like any other AMC wife. Donna soon breaks that stereotype and gives Gordon the final push he needed by supporting him and telling him to make something great. The hook of the show doesn’t hit until the end, where the heads of Cardiff Electric find out about what Joe and Gordon are working on via a call from IBM. How did IBM find out? Joe straight up told them. We then see just how confidently calculating Joe is. He blatantly Christopher Columbus-es this poor company, leaving a lot of futures at risk. He knows he can’t get fired because it would basically admit guilt to IBM. What this all comes down to is Cardiff Electric must pretend that they were building computers all along, but there’s a twist: they have to bring in a new engineer. Can you guess who that’s going to be? We finally catch up with the girl who kept me engaged, Cameron! We see her being her scrappy, scheming self getting kicked out of an arcade. She delivers a short speech which led to her signing on for a $20,000 $40,000 annual salary deal with Cardiff Electric. Seeing the trio together for the first time was a slow burn (all Godzilla-like), but it was worth it. It was fun to see the dichotomy between Joe and Gordon, but in it there was no doubt who was in charge, but when Cameron is thrown in, a power struggle is had. It’s good to see a female character out of the wife or submissive secretary role that the show could have easily fallen back on, especially being set during the ‘80s, but thankfully we have A16 for that. The final shot of the swarm of IBM lawyers was a welcome surprise and here’s hoping the three can take them down. 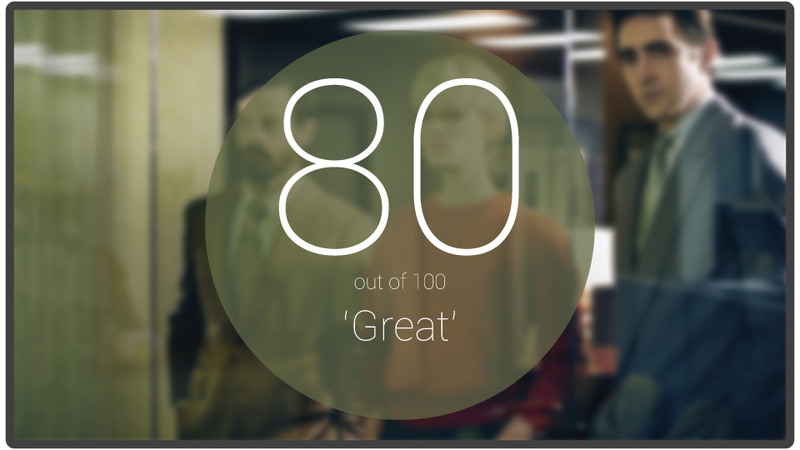 “Halt and Catch Fire” premiered with a strong episode, that definitely does enough to keep viewers watching for the remaining nine episodes. The trio of characters here are vastly different with very long ways to go down their path of development. Cameron was no doubt the standout character, but it was a shame that she was underutilized in this episode, something I’m sure will change as the season goes on. I think AMC has presented us with another series that’s sure not to disappoint. Are you on board the “Halt and Catch Fire” train? Does it scratch your itch for another AMC period drama? Halt and Catch Fire in the comments below.